Sexual Assault Awareness Month - RELIEF AFTER VIOLENT ENCOUNTER - IONIA/MONTCALM, INC.
April is Sexual Assault Awareness Month (SAAM). 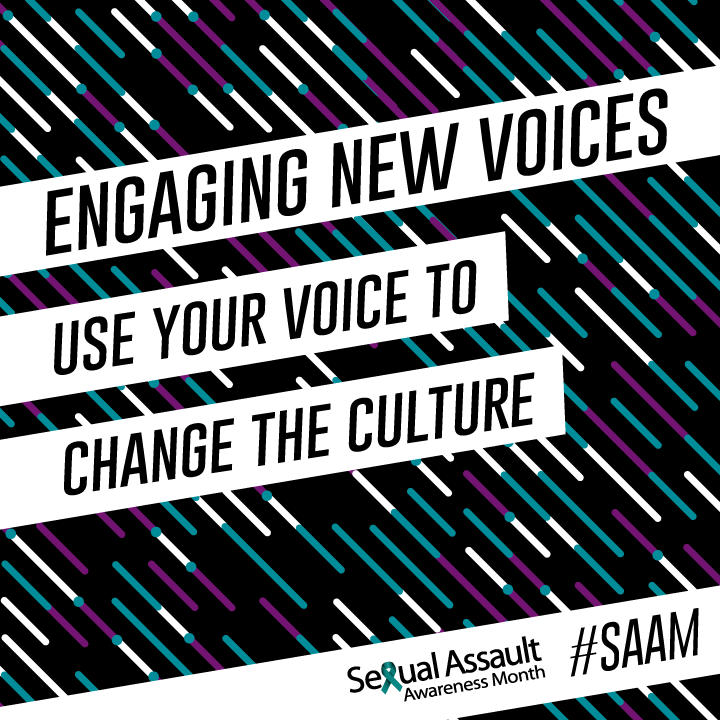 Join RAVE throughout April to spread community awareness about Domestic and Sexual Violence. 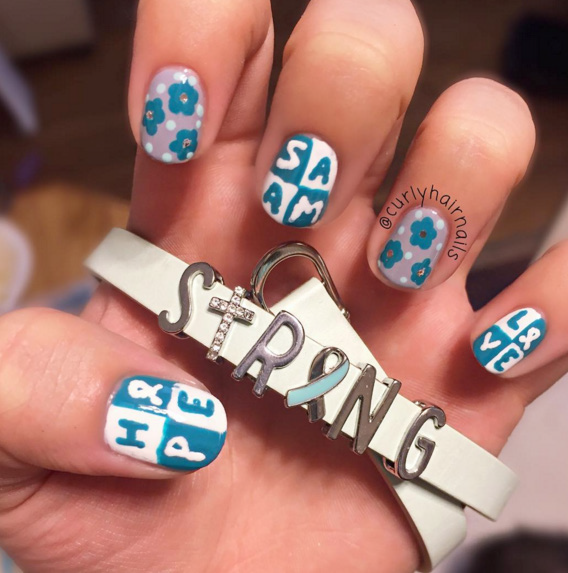 Show your support to survivors of Domestic and Sexual Violence by sharing social media posts, news articles, and participating in our awareness events and volunteer opportunities. 2. Send your photos to claireh@raveim.org or tag @RAVE.IM and we will share your photos supporting survivors on our social media pages! 3. 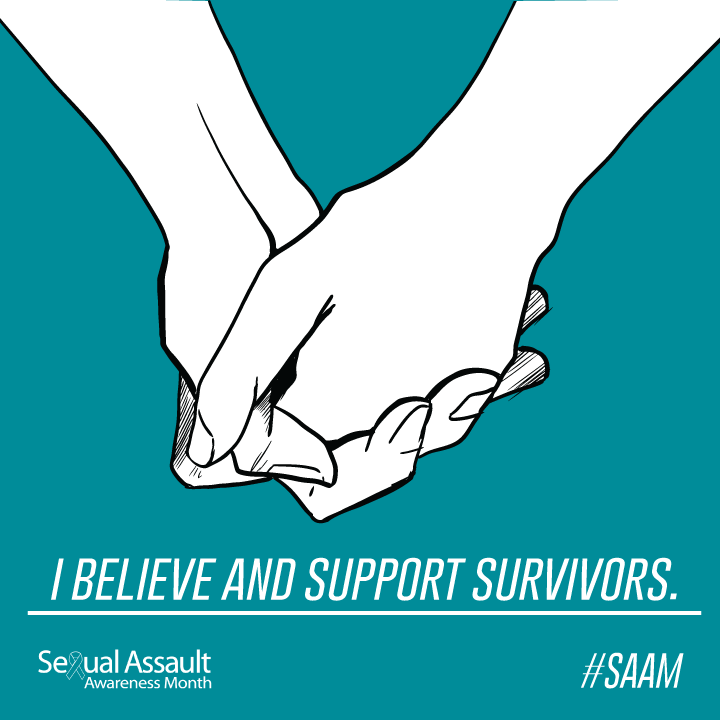 Add a Sexual Assault Awareness Twibbon to your profile pictures. 4. Check our Facebook for weekly updates on ways to show your support. Follow us on Facebook, Instagram & Twitter to learn more, and share our posts throughout the month to raise awareness among your friends and family. 1. Wear Denim on April 26th to show your support for survivors. 2. Post a picture of what a healthy relationship looks like to you on April 28th and use the hastag #RelationshipGoals. 3. 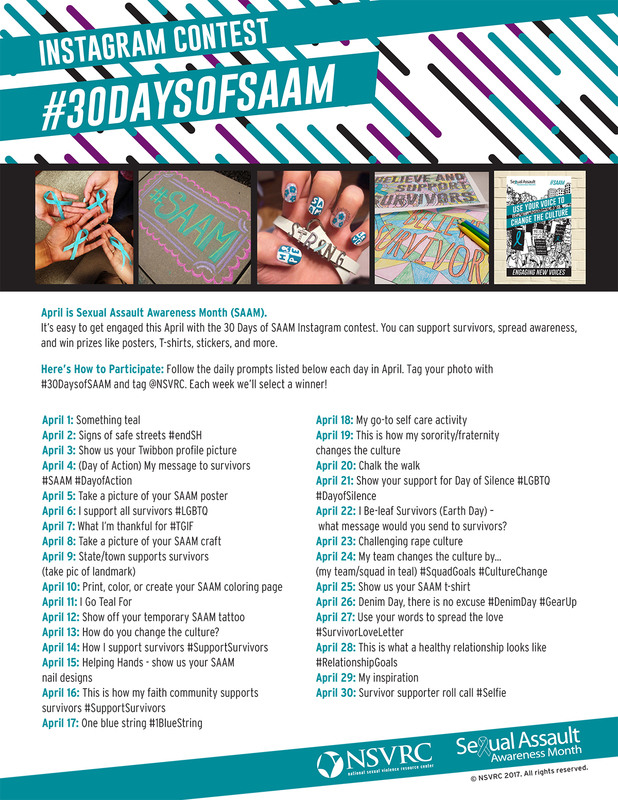 Participate in Survivor Supporter Roll Call on April 30th by taking a #Selfie to conclude SAAM 2017. 4. Sign Up your school to participate in our Chalk The Walk Event. Print off posters and share them with your community to raise awareness.